The fact is the San Jose Sharks are getting older and slower and that will not help them to get past the second round this season. 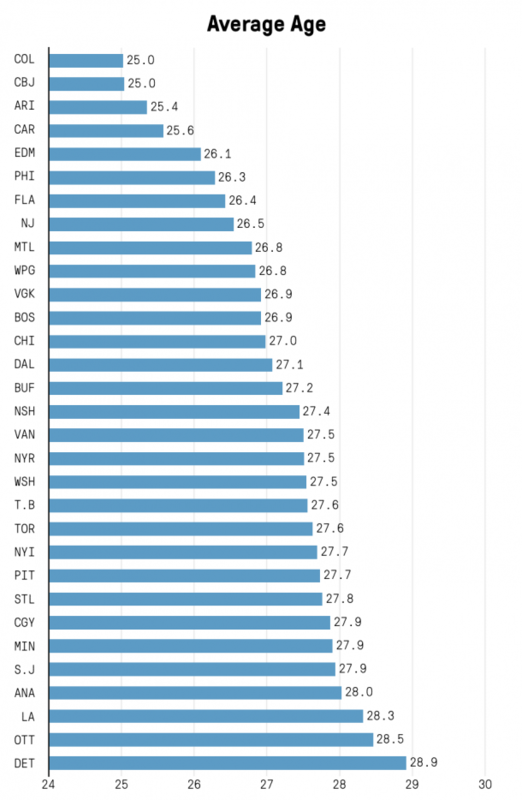 The San Jose Sharks are not getting any younger. Right now they rank as the fifth oldest team in the NHL. Their top line of Evander Kane (27), Joe Thornton (39), and Joe Pavelski (34) average 33.3 years-old. The Sharks average age is 27.9 years old. With the league trend heading towards youth and speed, (which seem to go hand-in-hand) they may have passed their expiration date. And, don't forget that All-Star defenseman Brent Burns will be 34-years-old a month before the regular season ceases. Don't be fooled when many (including yours truly) have predicted their demise only to discover when playoff time rolls around the Sharks are in the mix. Basically, they are a quality team and adding Kane may have cost them a seven-year $49 million outlay, he has shown his worth by collecting 19 points in 26 regular season and playoff games last year. But, he can't do it himself (Connor McDavid are you listening?). Unless the Sharks discover a youth serum capable of allowing their aging players to shed some years, they had better hope that goalie Martin Jones performs as well as last season. - Players like Hertl, Kane, and Meier continue to compete well and carry the slowing veterans to keep the Sharks in the playoff hunt. - Evander Kane establishes himself as a true scoring machine and scores 35 goals while maintaining his good behavior off the ice. 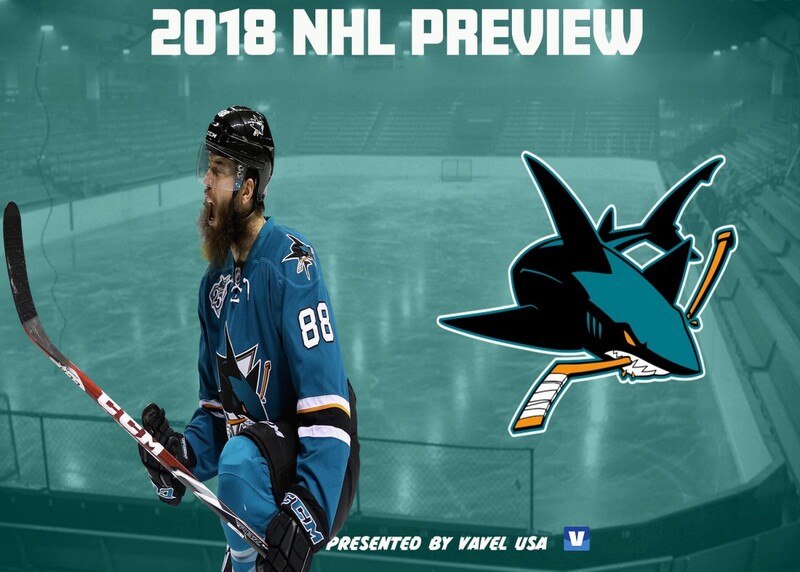 - Brent Burns continues to do what Brent Burns does best... dominate at the blueline. - Martin Jones picks right up where he left off and does magical things in between the pipes. - The Sharks get past the second round even in the highly competitive Western Conference. - The younger players play flat and the Sharks age begins to show and they fall from wild-card contention. - Evander Kane gets in trouble off the ice and is involved in behavior the Sharks feared he might... but still took the chance on him anyway. - Brent Burns, Joe Thornton, and or Joe Pavelski suffer injuries which at their age may occur and it devastates the Sharks' nucleus. - The Sharks just don't perform and fall out of playoff contention due to one or more of the above-mentioned pitfalls. The San Jose Sharks need to have everything fall into place to make up for the fact that they are an aging team. Martin Jones and Evander Kane can carry the team only so far. They could be a wild-card team or fall out of the playoff picture just as easily as they match or better their 45-27-10 record good for 100 points last season. They were 12th in goals scored and 9th in goals against, so they have the chance of still being a playoff quality team and can give opponents the fits in the postseason... if they can stay healthy and Jones can stand on his head in goal once again. This writer predicts they finish fifth which may be a stretch, but again the rest of the Pacific Division has improved in the offseason... especially the Arizona Coyotes. Finishing fifth means no playoffs (ask the Calgary Flames) and the next question would be is this club ready for a rebuild if that does indeed happen? How do you think the San Jose Sharks will finish this 2018/19 season? Let us know in the comment section below, and make sure to give us a follow on Twitter (@VAVELNHL_ENG) for more updates!